If you want something unique in the sense of sound, unusual in the sense of technique or you just want to find some interesting “trick” for the song – welcome to the video “New Bass Concepts”. Abraham’s approach to playing is very far from the traditional: in his own words, he “plays the bass as the drums. ” Abraham teaches you the techniques that keep him in demand. He covers right and left hand techniques, left hand tapping, 2-handed paradiddles plus his unique 5-fingered right hand technique. Abraham Laboriel is a Mexican bassist who has played on over 4,000 recordings and soundtracks. Guitar Player Magazine described him as “the most widely used session bassist of our time”. Laboriel is the father of drummer Abe Laboriel Jr. and of producer, songwriter, and film composer Mateo Laboriel. we thank God for the grate man. Abe rocks his the best n so inspiring to genarations. Is the booklet still available somewhere, I’d really like to download it and print it. Thanks. Thanks admin for your speedy help, appreciated. I now have the booklet! Thanks too, a huge thanks, for all the terrific music resources you are providing for us all. It does make a difference, and we are all musically the richer for it. I have downloaded it, but it’s just the avi file – there was no booklet. Can you help? 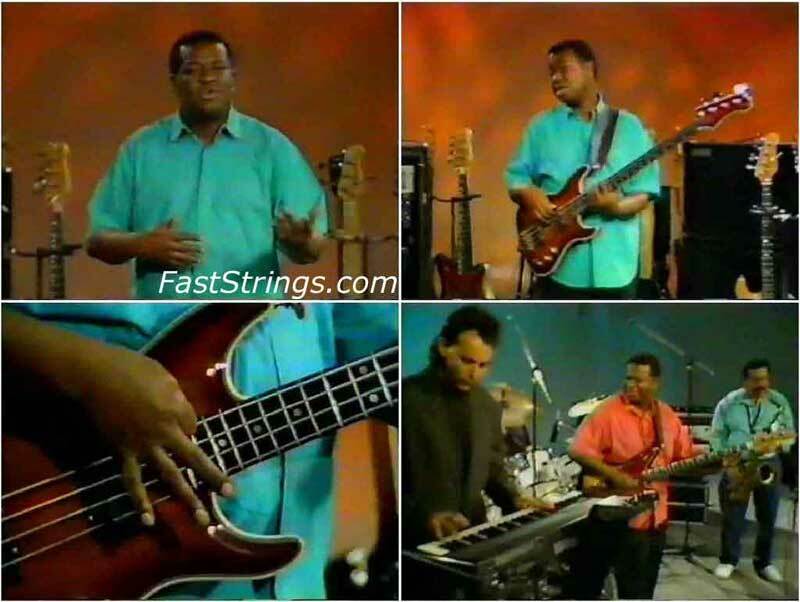 Abraham Laboriel – No sound at the start, but then o.k. – thanks!